Budle Bay Croft itself is located on gently rolling landscape, bordered by the Waren Burn to one side. 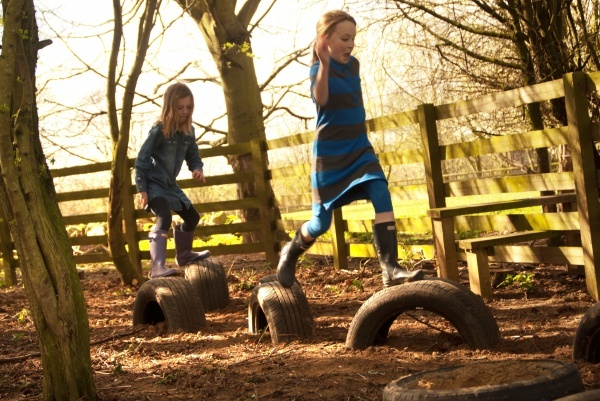 Woodland, grazing paddocks, play areas, and walks make up this charming, often described as magical small holding. 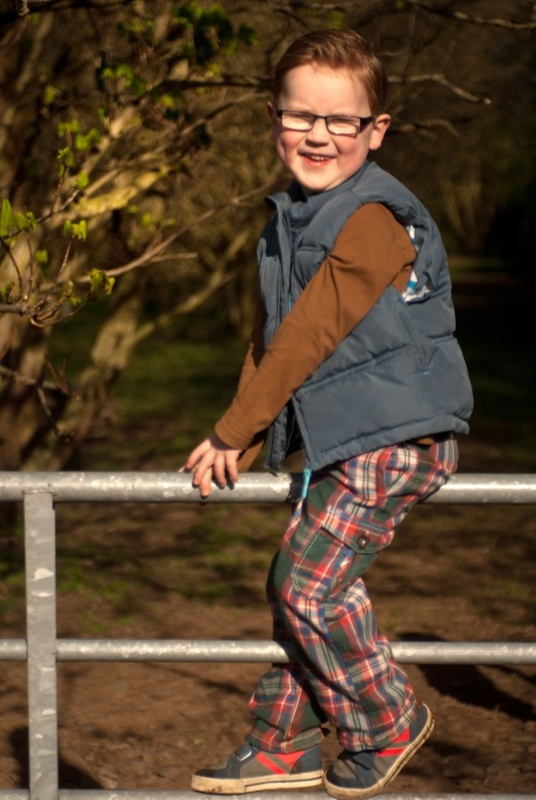 Be you young, or young at heart, if you like open spaces, kicking leaves, splashing in puddles, feeding animals or just plain night sky gazing, Budle Bay Croft could be right for you. 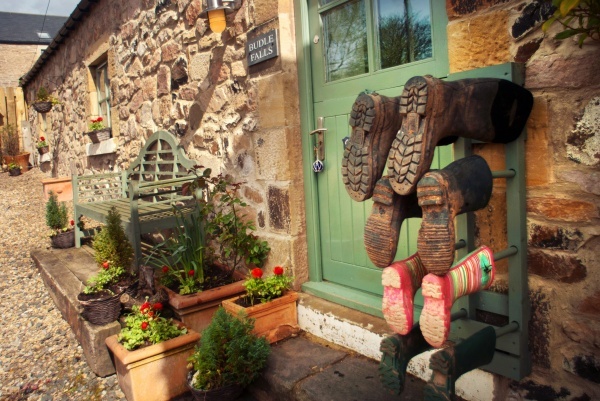 It’s there if you want it, but you can shut the door and snuggle up in the comfortable, cosy cottages if you don’t! 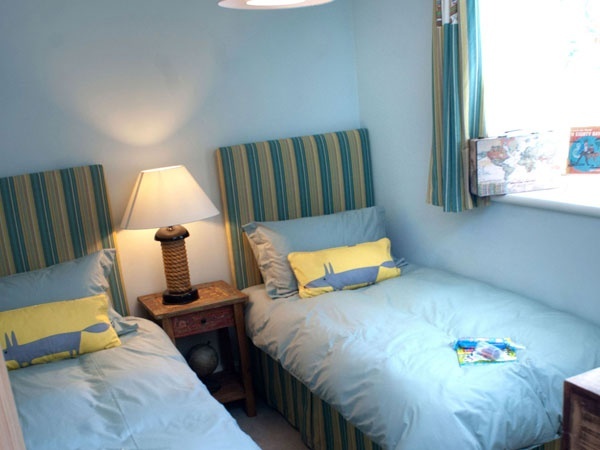 Budle Bay Croft is ideal for families wanting a child friendly holiday, but is also very romantic for couples, great for groups of mates, and is also pet friendly. 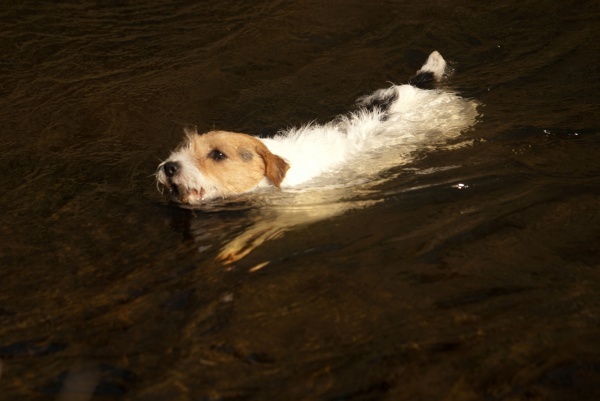 5* luxury for everyone – even pooch! We love welcoming pets. 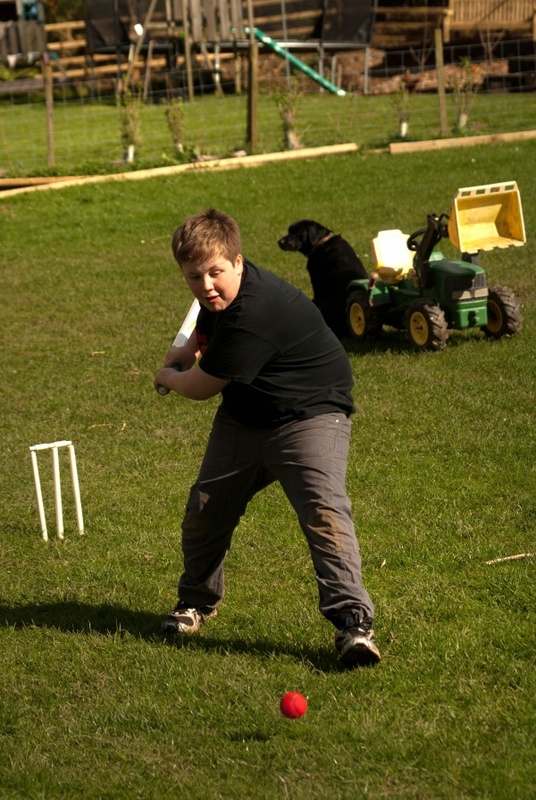 There are acres of grounds for dogs to run and play, and we provide a dog bed, bowls and treats too. 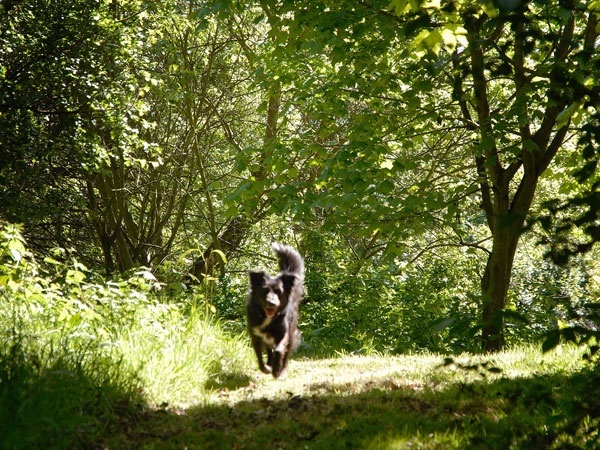 We can organise doggy day care if you need it, although many local attractions and activities are dog friendly. 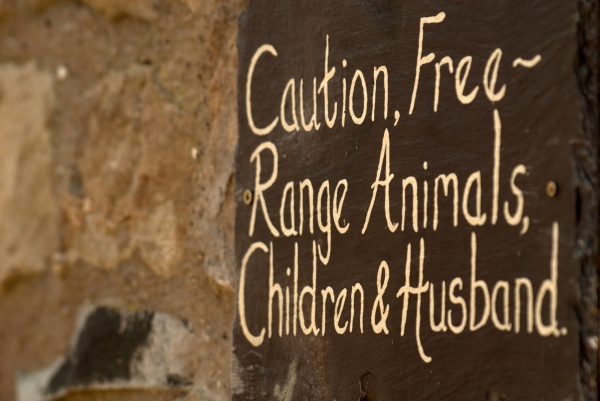 We can even recommend local restaurants that welcome our four legged family members – no compromise for them or you!. 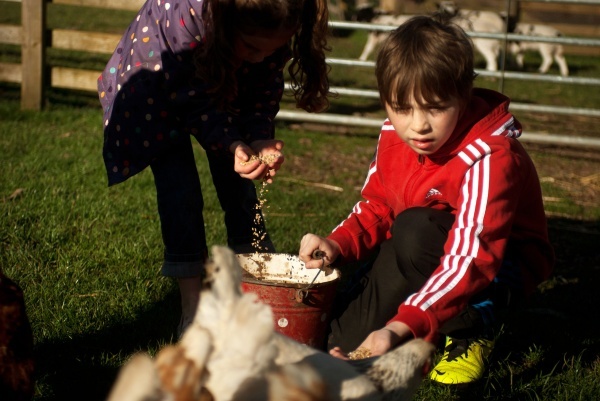 Outside, there are farm animals year round on Budle Bay Croft. 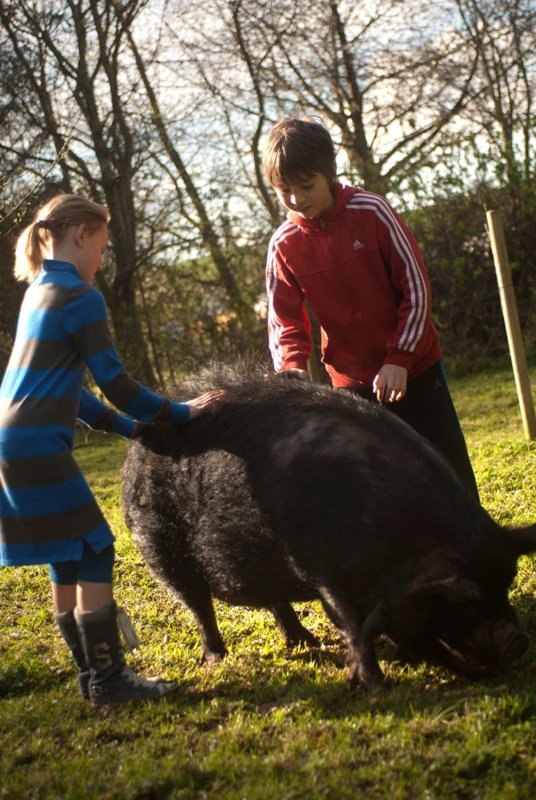 We have strived to create a safe and nurturing petting experience to help the littleys learn about animals. There are ewe-sually sheep, cluckin’ chickens, quackin’ ducks, and oinkin’ pigs, and sometimes others too like yuletide turkey’s, gobblin’ guinea fowl or a cheeky pony called Jaspar. There really is something to do everyday of the year on the Croft. 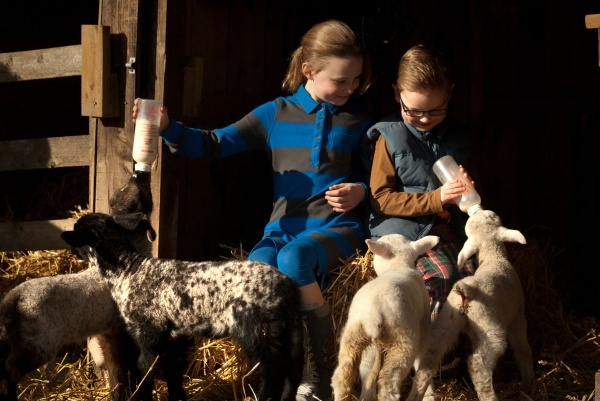 Our happy animals love petting and attention, and some are playful and curious, eating out of your hands or skipping across the fields to say hello. On top of all of that there is still more! 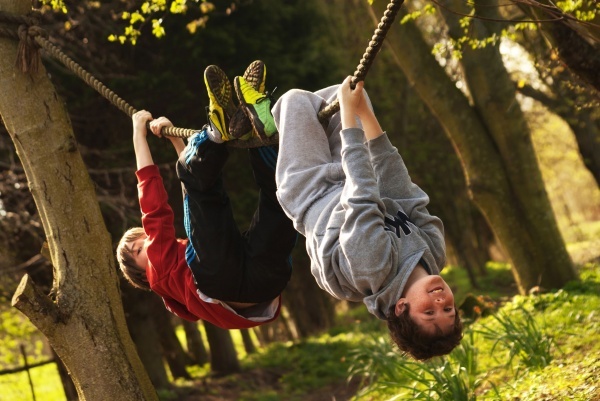 There is a range of outside play equipment to suit most children’s needs – from small cafes on stilts, to swings, slides, ropes and trampolines – even a tree house to search for invading vikings or poaching badgers, and a stage for impromptu concerts. 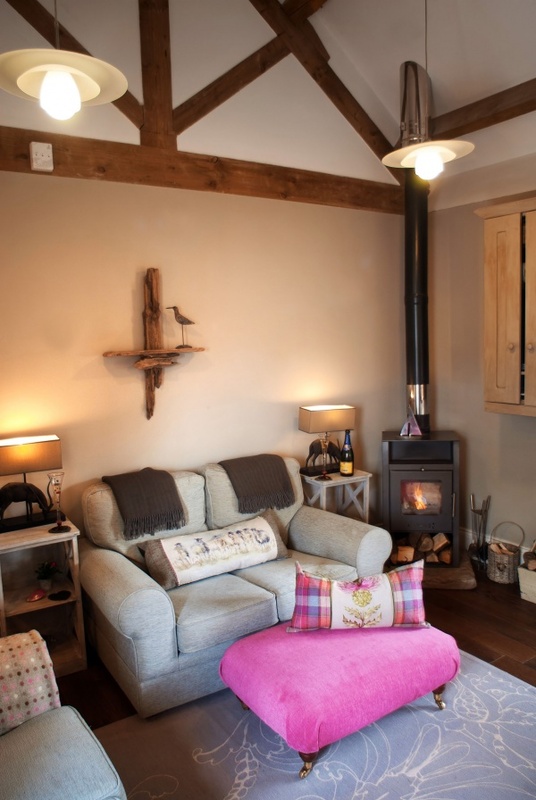 Inside the gorgeous, comfortable, cosy cottages, there is lots to occupy you too. From play stations and Wiis, board games, toys, dressing up gear, music, sky TV, magazines, books, even bath toys , fluffy bath robes and candles! 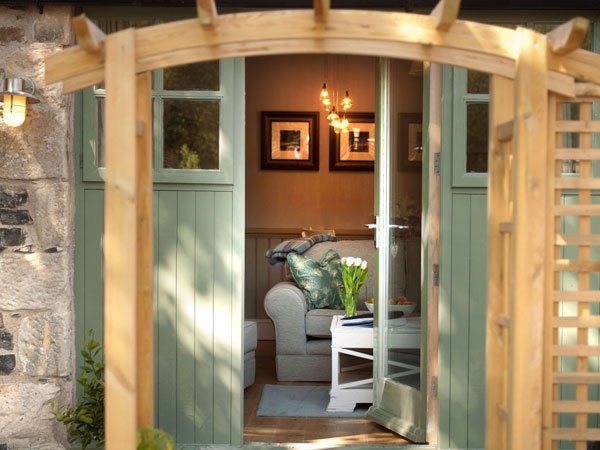 Free UK landline phone calls, log burners with free logs, welcome packs and designer toiletries – everything you would expect from a 5 star luxury cottage and more besides. Budle Haugh, with it's beautiful internal styling, and both private and communal outside spaces, this cottage will appeal to a family party, or equally to 2 couples holidaying together. Haugh (pronounced ‘Hoff’) is an Old English and Scots term referring to a low-lying meadow in a river valley, and Budle Haugh lies adjacent to the Waren Burn river with views towards the meadow, hence the name of this cottage. Guests can enjoy the sound of bubbling water while enjoying the view - including the swans, herons and the abundant river based wildlife. The river is fenced off and the cottage has a river side stone walled garden so it is safe for children. 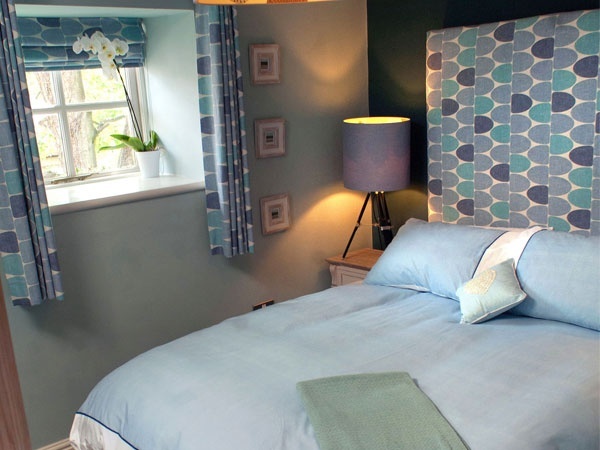 Budle Falls is also within the charming Budle Bay Croft, and is adjacent to Budle Haugh. This traditional Northumberland cottage has been decorated in keeping with its surroundings with great taste and attention to detail. 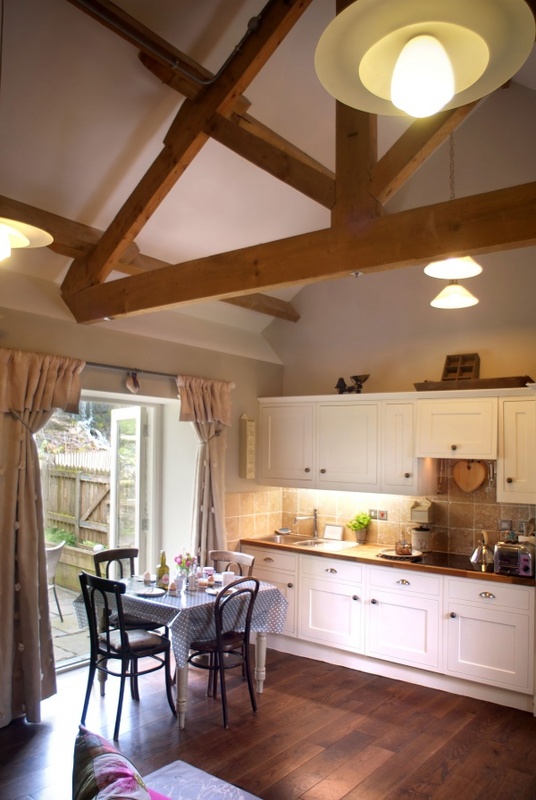 Vaulted ceilings characterise the interior with light and airy open-plan living accommodation. The master bedroom benefits from a feature king sized bed and the bunk bedded room will prove a hit with our younger visitors. Budle Falls gets its name from the feature waterfall at the rear of the cottage. Within the historic 13th century hamlet of Waren Mill, Budle Falls is a restored hemmel that dates back even further to the 12th century. 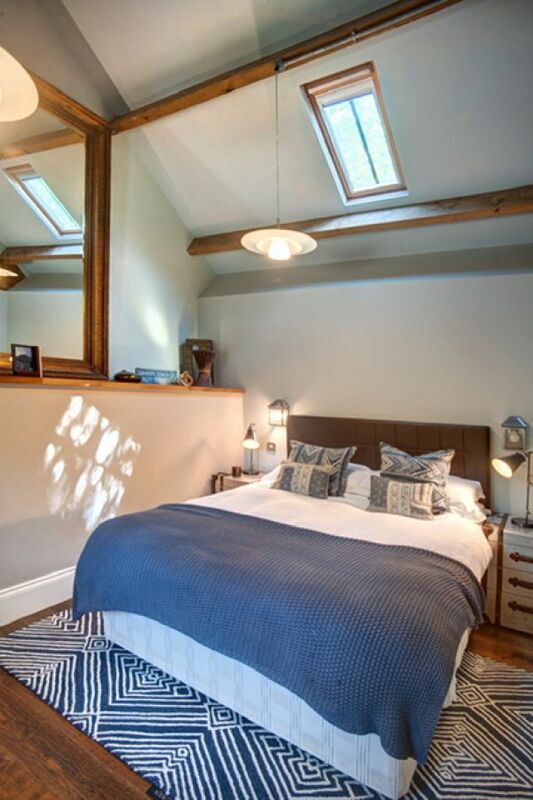 The building has been restored by local craftsmen, using traditional building methods and materials including random stone and Welsh slate, and it is within its original footings. The waterfall, a real feature of the back garden, is turned on between certain times of the day and is illuminated at night. It is securely fenced so, parents, NO cause for concern! In 2011 we won a Bronze award in the North East Tourism Awards, and we were Gold Standard in the Sunday Times 100 Cool Cottages. 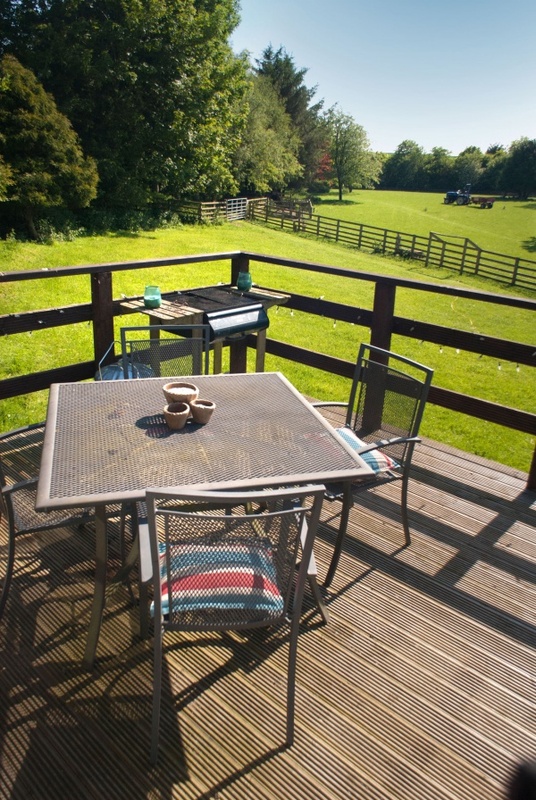 Short breaks available from £470 - please contact us for details and availability. 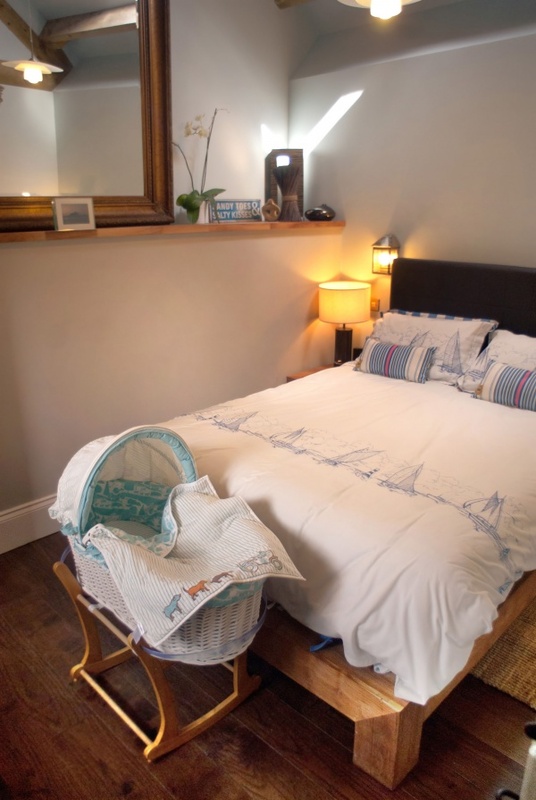 Free travel cots, linen, indoor and outdoor toys and games, changing mats, baby baths, step up stools, potties, high chairs, Joules moses basket, cot side, steriliser, baby monitor, baby rocking chair. Acres of grounds, farm animals, river, trees, trampolines, climbing frames, games room with pool table, football table and TV, adventure grounds, tree house, stage, roll down hills, kumbya camp. 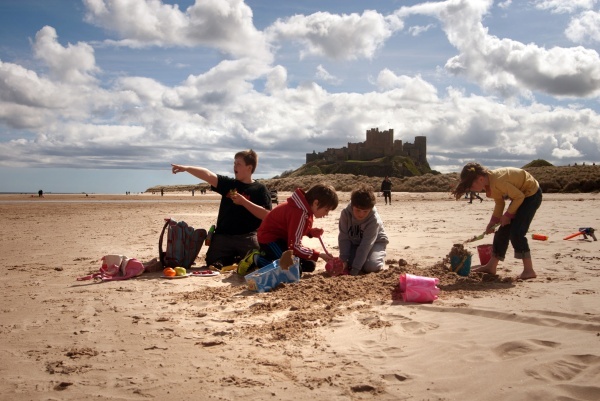 Cycle report kit in cottages, secure storage can be provided in the games room, cycle route info in cottages, on Coast & Castles & Bamburgh Triathlon routes, close to Wooler Wheels of Steel & Great North Bike Ride routes. Local bike hire. No charge for dogs and we provide bed, bowls, towels and treats free of charge too. 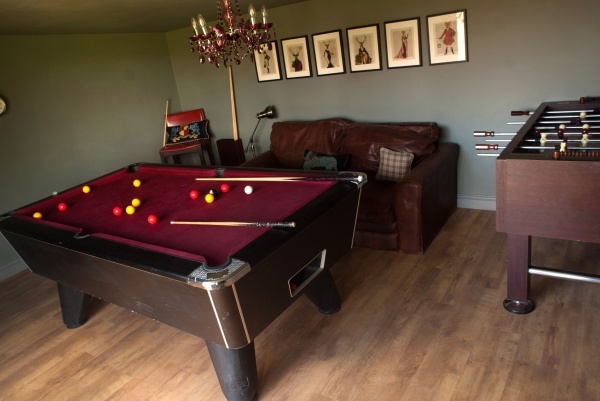 Both cottages have DVD players in each lounge and bedroom. Budle Haugh has a Playstation 3 and Budle Falls has a Wii. Supermarkets and traditional butchers, greengrocers, crafts, bakeries, ice cream parlours, local produce sellers, chemists and gift shops. Full size fridge freezer in Budle Haugh; Table top freezer in cupboard in Budle Falls. Undercounter larder fridge in Budle Falls; fridgefreezer in Budle Haugh. 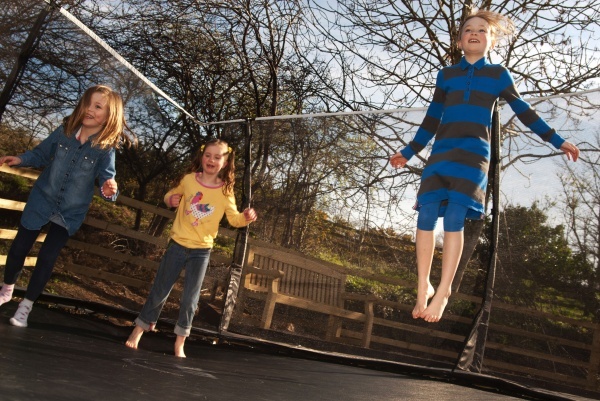 Each cottage has secure private garden with out door toys as well as shared grounds of several acres. Log burners with free logs. Provided free of charge, with the exception of Sky Store purchases, which must be paid for privately. In each lounge and all bedrooms. On or close to many great walks. Information and maps provided in cottages. 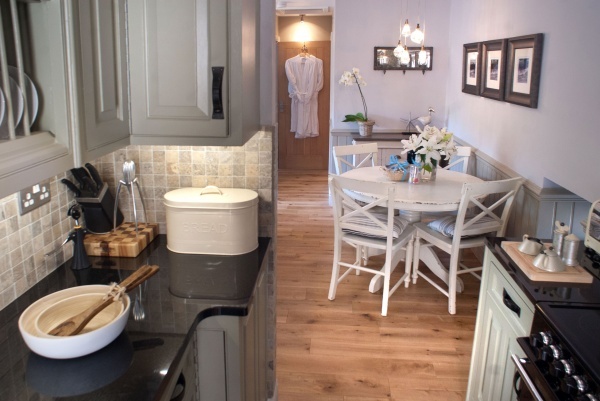 Each cottage has private integrated full size washer dryer. Free Wifi, Broadband and UK landline calls. Centuries old steading in historic village near to Bamburgh and its majestic castle. 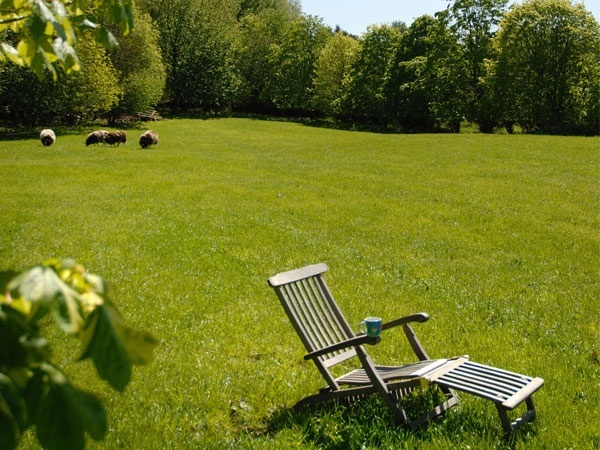 Including BBQ in private gardens and many picnic areas around grounds, by the river, in the woods and in sun spots.